One of the last Air Jordan 1 Retro Highs to release, the Air Jordan 1 (I) Retro Japan White / Metallic Silver – Midnight Navy was a Japan exclusive. At the time, many sneaker heads were angered, and turn to online after market retailers to purchase. 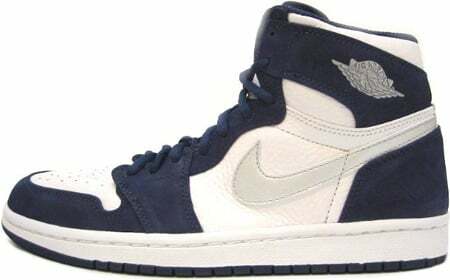 The Air Jordan 1 (I) Retro Japan White / Metallic Silver – Midnight Navy is one of four different Air Jordan Retro 1 Japan exclusives to release, which was back in 2001. Retail for a pair was ¥12,000.